In the garden she sprinkles nuts on the bird table, breaks the ice on the pond and throws in fish food. If the wind is blowing she'll light a bonfire and stare into the flames until there's nothing left but charred ends. He was always the feeder, she – the burner. She takes a spade from the rack of tools and looks over the overgrown vegetable patch. Since he went nothing had grown but weeds. She slices into the heavy winter soil and turns a sod, then another, then another. Soon the plot is weed-free, loamy and ripe for seed. She digs deep, straight furrows, marked with twine tied around sticks. 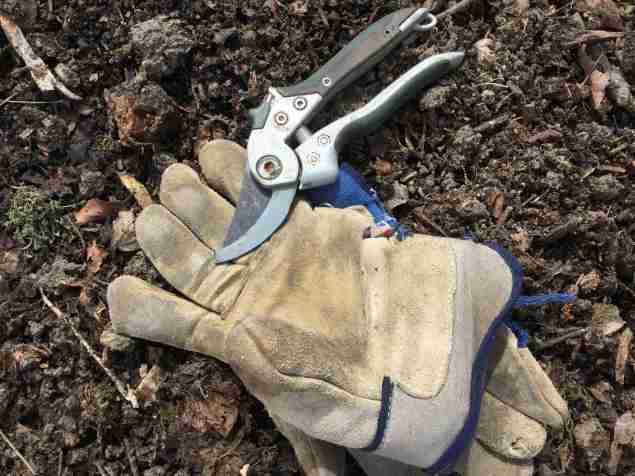 She plants his expensive secateurs, his fleece-lined gardening gloves and calibrated dibber. She tears open his packets of seed and sows them onto the bonfire's embers. Some of them pop and crackle, others just hiss.